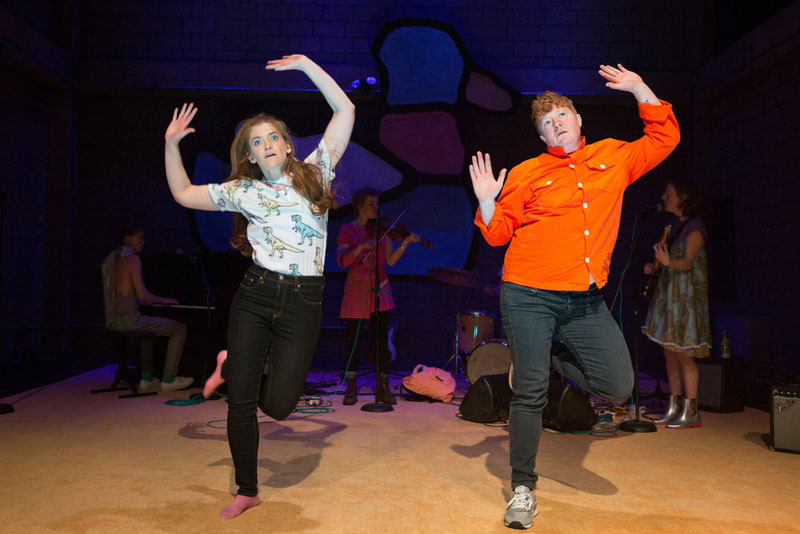 Erin Markey received generous support from NYPAC, the New York Performance Artists Collective, for the development of A Ride On The Irish Cream. This work was created, in part, through the Artist in Residence Program at BAX/Brooklyn Arts Exchange with support from the National Endowment for the Arts, New York State Council on the Arts, NYC Department of Cultural Affairs, Andrew W. Mellon Foundation, Foundation for Contemporary Arts, The Jerome Robbins Foundation and the Jerome Foundation; by the Franklin Furnace Fund supported by Jerome Foundation and by public funds from the New York State Council on the Arts, and the New York City Department of Cultural Affairs in partnership with the City Council. Additional residency support was provided by a Mount Tremper Arts and Baryshnikov Arts Center. Image: Sara Krulwich / The New York Times.